264 Page Book. Print or digital. 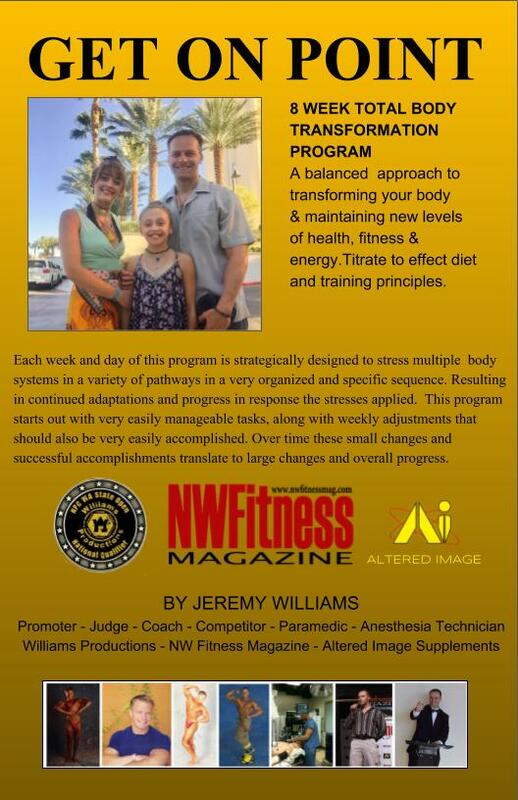 Each week and day of this program is strategically designed to stress multiple body systems in a variety of pathways in a very organized and specific sequence. Resulting in continued adaptations and progress in response to the stresses applied. 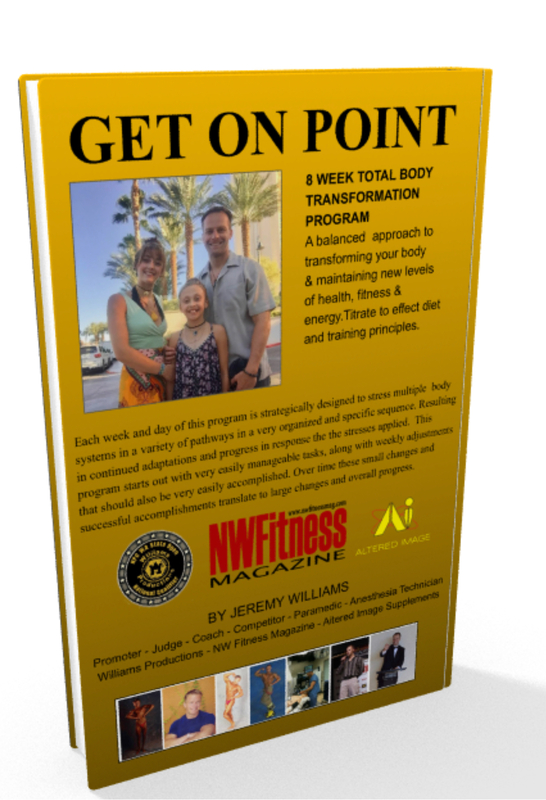 This program starts out with very easily manageable tasks, along with weekly adjustments that should also be very easily accomplished. Over time these small changes and successful accomplishments translate to large changes and overall progress. 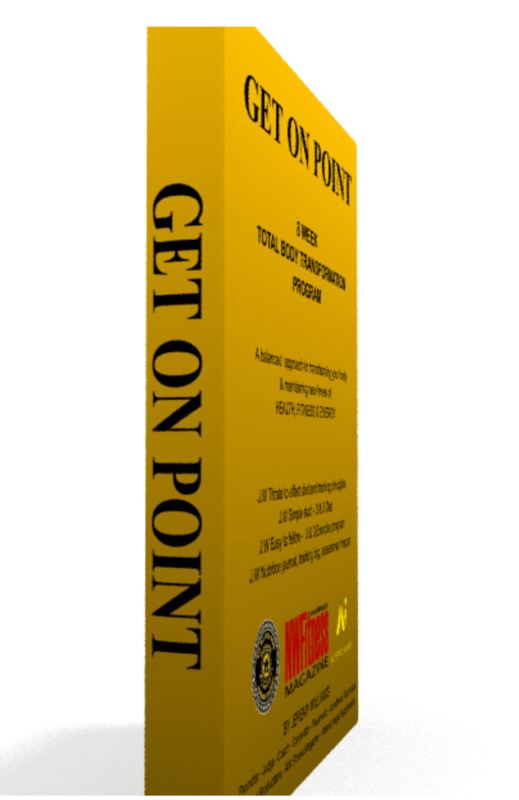 Order the printed paperback, which includes journals, logs and progress reports for you to write in and develop success habits and Get On Point. 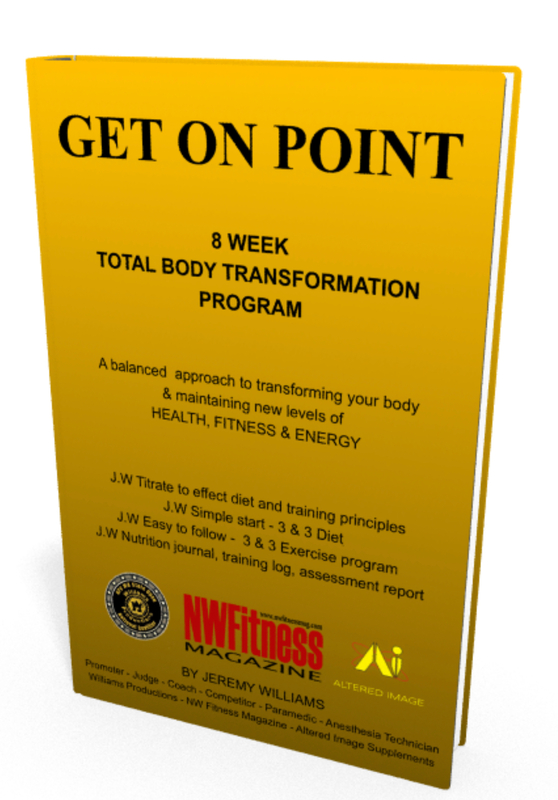 Don’t wait for your printed copy to show up to start your transformation. 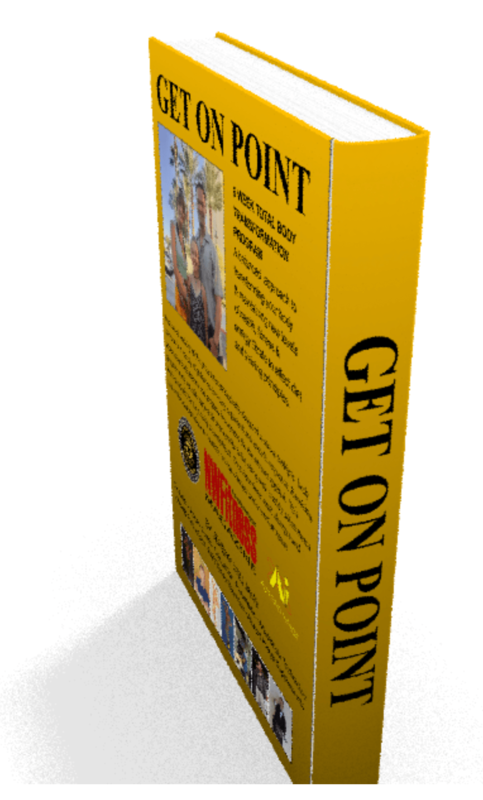 View and download the digital ebook as well and Get on Point now. This seminar will give you knowledge, insight and a new perspective on many elements relevant to physique type competition preparation. 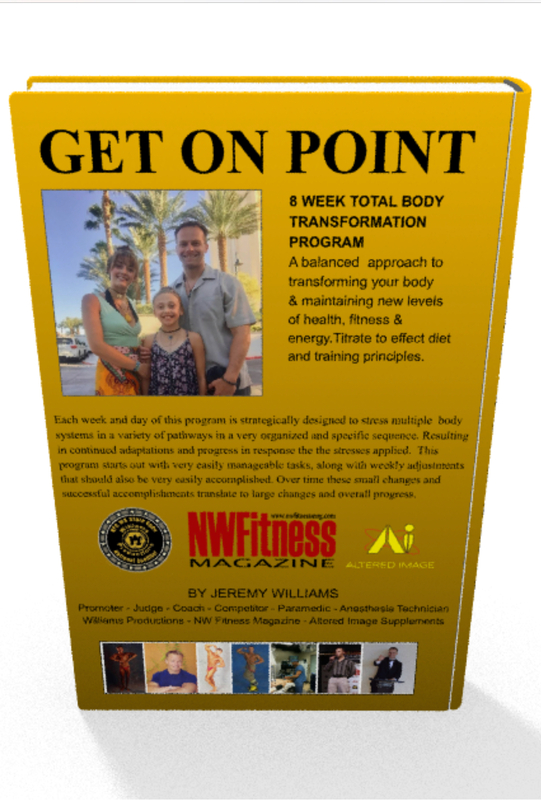 It is my intention that with this newly gained wisdom, you will have a broader-based understanding with more depth to better manage your bodies in a safe predictable manner. DATE / Time / Location: Check registration page for the list of upcoming dates, time & locations. Click here to view registration page. Optimal: 4-5 mo pre-contest, & 1-2 mo post contest diet coaching. No less than 3 months unless we talk about it and approved. 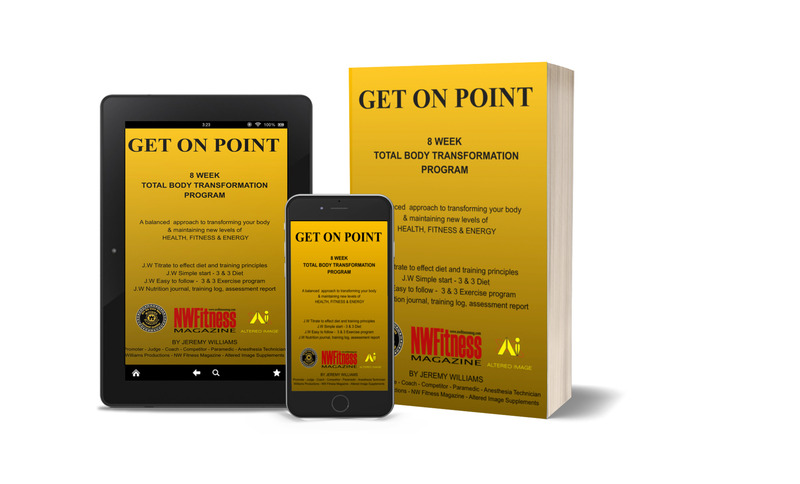 No discounts for less prep time, its actually more work on both of our parts.Learn skills and various tools to properly assess and make an unbiased self-evaluation of the changes you will need to make in your physique to be contest ready. Manage your offseason diet and training with the purpose of optimizing organ functions, hormone balances and in turn muscular gains and fat loss. Learn what you should be doing those last days of contest prep in terms of diet, training, and hydration. 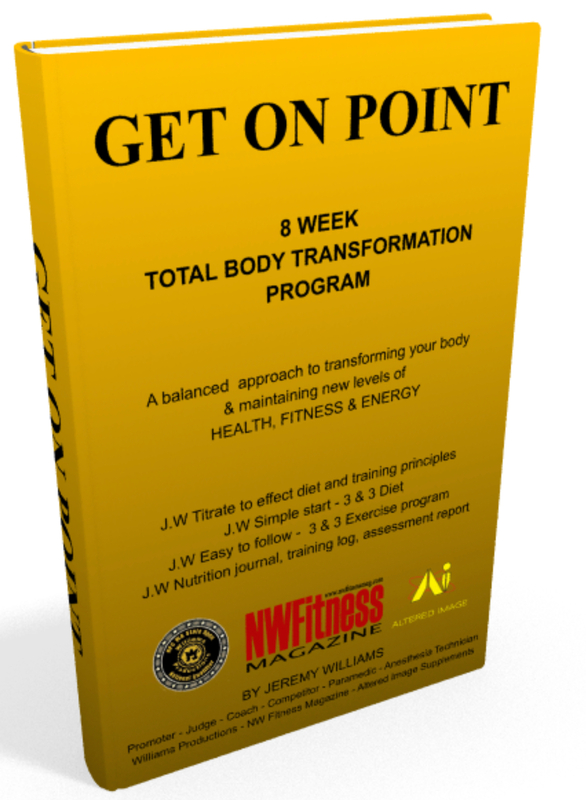 Following the contest, you should be able to properly assess many metabolic functions and have a systematic plan to restore any imbalances and deficiencies. 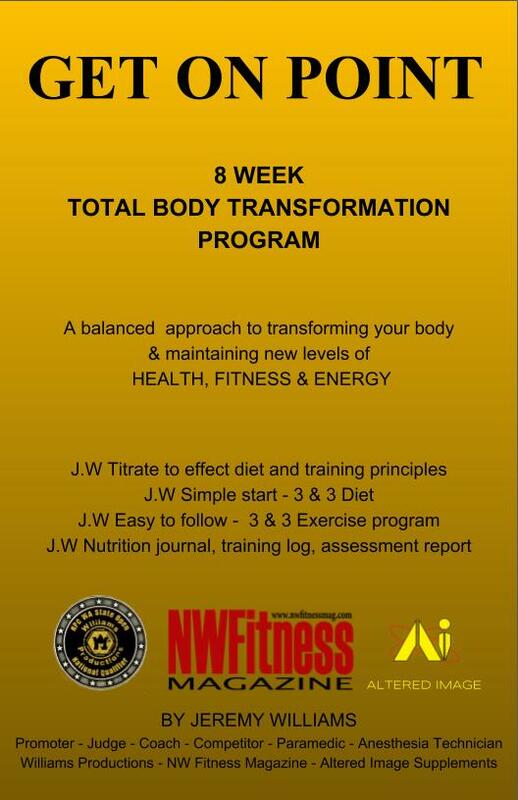 Design weight training & cardiovascular training programs to coincide with various phases of your diet. Open posing class/practice: $25 DATE / Time / Location: Check registration page for the list of upcoming dates, time & locations. Click here to view registration page.